Long ago I lost count of the number of times I have heard and read that we are now, in the present, living in a pivotal moment in history, that we are, in a sense, at the center of history, and that the present is a privileged moment in time. The idea that one is present at a pivotal moment in history, and that one’s actions in relation to the unfolding of events in the present will play a decisive role in the world that is eventually to emerge from accelerated apocalypticism, may be regarded as the Ptolemaic equivalent of historiography, i.e., an anti-Copernican idea. Ptolemaic historiography, if there were such a thing, would insist upon the centrality of ourselves and our perspective in the history of the world, holding that we have a privileged perspective on history as a consequence of our position in time. There is a more conventional way to understand this kind of claim. In the introduction to his Lectures on the Philosophy of History, Hegel made a tripartite distinction between original history, reflective history, and philosophical history. The first of these three, original history, is characterized by histories written by individuals who have witnessed the events they are recounting, or who have heard about them first-hand. Such histories are witnesses to history in two senses: firstly in having directly observed history, and secondly in being a witness to the spirit of the time, which entails sharing the Weltanschauung of the participants in contemporaneous history. Ptolemaic history, then, is a form of original history, because it is predicated upon the centrality of contemporaneous historical actors within their own perspective of history. Hoyle’s perfect cosmological principle was not widely accepted. The stock answer as to why Hoyle’s perfect cosmological principle was rejected has been to refer to the observational pillars of the big bang cosmology (cf. The Four Pillars of the Standard Cosmology), and most especially the discovery of the CMBR as a confirmation of big bang cosmology. 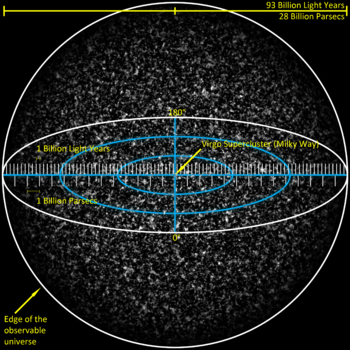 But big bang cosmology ought to be understood in this context as a natural history of the universe. The confirmation of any theory that postulates that the universe has a natural history would have been sufficient to overthrow the steady-state model of the universe. The big bang model of cosmological evolution is one among a class of possible natural histories for the universe. If we must reject the perfect cosmological principle because the universe is evolving, and therefore appears differently at different times, must we also reject the possibility of Copernican historiography as a rejection of Ptolemaic historiography? 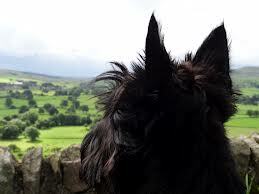 I will come back to this, but I will first consider some formulations of the Copernican principle. The generality of this formulation is equally applicable to space and time, unless “the universe” is construed to mean the universe only in its spatial extension and not its temporal extension. The idea of a perfect cosmological principle and the idea of a Copernican principle, when taken together, imply the possibility of a perfect Copernican principle, generalizing the conventional Copernican principle so that it applies to time as well as to space. A perfect Copernican principle would assert that we do not (or, if you prefer, and in accordance with the formulation in the Zhang and Stebbins paper, we should not) live in a special region or era of the universe. Given that the Copernican principle follows deductively from the cosmological principle — if the universe is spatially homogeneous and isotropic, it follows that there are no privileged observers, because there are no privileged positions in the universe from which an observer might observe — the perfect Copernican principle would follow from a perfect cosmological principle, and, given material implication, the falsification of any perfect cosmological principle could not entail the truth of a perfect Copernican principle following deductively from a perfect cosmological principle. History undertaken in the Copernican spirit, i.e., Copernican historiography, would be history written with the perfect Copernican principle as a regulative principle. If the task of history is to write cosmological history, or human history set in the context of cosmological history (as is the case with big history), we cannot do this and remain true to the perfect Copernican principle. A history of the cosmos from from a human perspective (which is the only kind of cosmological history that we, as human beings, can write), is an anthropocentric history, and views the universe entire from the privileged moment in time occupied by human beings, which is a small slice of the evolutionary history of life on Earth, which is, in turn, a small slice in the evolutionary history of the Stelliferous Era, which is, in turn, a small slice in the history of the universe entire. Big history, then, cannot be Copernican historiography, though one could plausibly argue that big history is the eventual result of viewing the world from a Copernican perspective. I think that this is case, and perhaps I will try to argue another day for a tension within the Copernican principle that leads, on the one hand, to big history, while on the other hand not being theoretically compatible with a strict interpretation of Copernicanism. It seems that not only does the universe evolve, and that human beings evolve, but also the perspective that human beings have of the universe they inhabit also evolves, and it evolves as the interface between human life and the universe. On a human scale of history, however, I think that the perfect Copernican principle can be applicable. That is to say, if we restrict the scope of history to the human tenure on Earth, then something like the perfect Copernican principle obtains, as no one period of history can be judged to be privileged over any other era of history, and certainly not in terms of a perspective from within history to write history. Each era has the opportunity to write what Hegel called the “original history” of itself, and each era has the opportunity to write reflective histories of its own times taken together with all previous history. In this respect, later eras survey a greater portion of the human past, and so are “privileged” in respect to having more empirical content of human history at their disposal. However, on a purely theoretical level, the expanding empirical content of human history is irrelevant. In order to understand history from the perspective of the perfect Copernican principle (which is a little like understanding history sub specie aeternitatis), and thus to “de-provincialize” one’s conception of history (I take the word “de-provincialize” from Carl Sagan), it is sufficient to see that unprecedented events are always occurring, always have occurred, and will continue to occur for as long as any events whatsoever continue to occur and thus continue to supply a natural history to the universe. If our presence, or our location in time (regardless of our presence), were singularly unprecedented, we would be justified in asserting that we live at a special time in history, but even a casual survey of history will show that there is always something occurring that has never before happened in the history of the universe. Unprecedented events occur with predictable regularity. At a temporal microscale, it could be argued that each and every new moment of time is unprecedented, as the structure of the universe in no way guarantees to us that time will continue to produce new moments. On the other hand, each new moment of time is a moment among moments, one of a class of moments, the totality of which makes up the totality of time, so that each new moment may be as unique as each snowflake, but all moments are alike in the way that all snowflakes are alike. Whether or not we see moments of time or snowflakes as unique or as all the same depends upon how fine-grained an account of identity we bring to the analysis. Thus, to fully develop the idea of a Copernican historiography it will be necessary (at some point, though not today) to analyze the conception of identity one brings to history, and the scope of history we are considering at any one time. This is already implicit above when I noted that restricting our scope from cosmological history to human history may yield a valid application of the perfect Copernican principle. An extremely fine-grained account of history will yield the absolute novelty of every moment; a less detailed overview of history would perhaps eventually yield absolute repetition, as represented by Ecclesiastes’ famous line, “The thing that hath been, it is that which shall be; and that which is done is that which shall be done: and there is no new thing under the sun.” Or maybe not; this is something on which I will have to think further. Ecclesiastes’ principle implies a cyclical conception of history, which I reject, but more on this another time. Ecclesiates’ explicit denial of novelty in the world: The thing that hath been, it is that which shall be; and that which is done is that which shall be done: and there is no new thing under the sun. Janus, the Roman god of beginnings and portals, had two faces, one looking into the past and another looking into the future. In several posts I have developed what I call concepts in an extended sense, as in Geocentrism in an Extended Sense and “biocentrism in an extended sense” in Addendum on the Technocentric Thesis and “ecology in an extended sense” in Intelligent Invasive Species. In these attempts to extrapolate, expand, and extend concepts beyond their ordinary usage — the result of which might also be called overview concepts — each traditional concept must be treated individually, as there is a limit that is demarcated by the intrinsic meaning of the concept, and these limits are different in each case. With history, the extrapolation of the concept is obvious: history has taken the past as its remit, but history in an extended sense would apply to the totality of time. This is already being done in Big History. There was a note of frustration in the voice of the speaker who objected to any account of the future as a part of history, and while I could appreciate the source of that frustration, it reminded me of every traditionalist protest against the growth of scientific knowledge made possible by novel methods not sanctioned by tradition. In this connection I think of Isaiah Berlin’s critique of scientific historiography, which I previously discussed in Big History and Scientific Historiography. Berlin argued that the historical method is intrinsically distinct from the scientific method, so that there can be no such thing as scientific historiography, i.e., that the intrinsic limitations of the concept of history restricts history from being scientific in the way that the natural sciences are scientific. While Berlin’s objection to scientific historiography is not stated in terms of restricting the expansion of historical modes of thought, his appeal to a nature of history intrinsically irreconcilable with science and the scientific method is parallel to an appeal to the nature of history as being intrinsically about the past (thus intrinsically not about the future), hence there can be no such thing as a history that includes within it the study of the future in addition to the study of the past. Every cognitive capacity that Berlin here credits to the historian can be equally well exercised in relation to the future as to the past (I should point out that, as far as I know, Berlin did not take up the problem of the relation of the historian to the future). Indeed, one of the weaknesses of futurism has been that futurists have not immersed themselves in these distinctively historical modes of thought; our conception of the future could greatly benefit from a capacity for integration and perceiving the relation of parts to wholes. I don’t think Berlin would ever have imagined his critique of scientific historiography as advice for futurists, but it could be profitably employed in developing history in an extended sense. Many of Berlin’s examples of distinctively historical thought position the historian as attempting to explain historical change. The emphasis on describing change in history results in an indirect deemphasis of continuity, though continuity is arguably the overwhelming experience of time and history. It would be almost impossible for us to delineate all of the things that we know will happen tomorrow, and which we do not even bother to think of as predictions because they fall so far near certainty on the epistemic continuum of historical knowledge. All of the laws of science that have been discovered up to the present day will continue to be in effect tomorrow, and all of the events and processes that make up the world will continue to be governed by these laws of nature tomorrow. We could exhaust ourselves describing the nomological certainties of the morrow, and still not have exhausted the predictions we might have made. Thus it is we know that the sun will rise tomorrow, and we can explain how and why the sun will rise tomorrow. If you are an anchorite living in a cave, the sun will not rise for you, but you can nevertheless be confident that Earth will continue to orbit the sun while rotating, and that this process will result in the appearance of the sun rising for everyone else not so confined. But our sciences that describe the laws of nature that govern the world are incomplete, and they are in particular incomplete when it comes to history. I have noted elsewhere that there is (as yet) no science of time, and it is interesting to speculate that the absence of a science of time may be related to a parallel absence of a truly scientific historiography or a science of civilization. 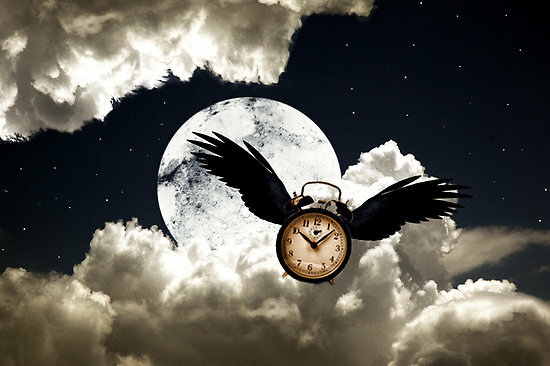 Because we have no science of time, we have no formal concepts of time — or, rather, we have no concepts of time recognized to be formal concepts. I have argued elsewhere that the idea of the punctiform present is a formal concept of time, i.e., interpreted as a formal concept it can be employed in a formal theory of time which can illuminate actual time as an ideal, simplified model. But as soon as you try to interpret the idea of the punctiform present as an empirical concept you run into difficulties. Would it be possible to measure a dimensionless instant? The punctiform present is like a pendulum with a weightless string, frictionless fulcrum, and no air drag. No such pendulum exists in actual fact, but the ideal pendulum remains a useful fiction for us. Similarly, the punctiform present is a useful fiction for a formal science of time. What Berlin here condemns as an attempt to square the circle is precisely my ideal in history, and it is what I called formal historiography in Rational Reconstructions of Time. A formulation of history in an extended sense would be a step toward a formal historiography. While on one level I am interested in history as an intellectual discipline in its own right — history for history’s sake — and therefore I am interested in formal historiography as a sui generis discipline, I also have an ulterior motive in the pursuit of a formal historiography that can develop history in an extended sense. Such a formal historiography will be one tool in the interdisciplinary toolkit of future scientists of civilization, who must study civilization both in terms of its past and its future. An interesting article on NPR about a new atomic clock being developed by NIST scientists, New Clock May End Time As We Know It, was of great interest to me. Immediately intrigued, I wrote a post on my other blog in which I suggested that the new clock might be used to update the “Einstein’s box” thought experiment (also known as the clock-in-a-box thought experiment). While I would like to follow up on this idea at some time, today I want to write about advanced chronometry in the context of the STEM cycle. What if, in the clock-iin-a-box thought experiment, we replace the clock with one so sensitive it can also function to measure the height of the box? Atomic clocks are among the most precise scientific instruments ever developed. As such, precision clocks offer a good illustration of the STEM cycle, which I identified as the definitive feature of industrial-technological civilization. While this illustration is contemporary, there is nothing new about the use of the most advanced science, technology, and engineering available being employed in chronometry. The Tower of the Winds in Athens held one of the most advanced timekeeping devices in classical antiquity; the tower still stands, but the mechanism is long gone. The earliest sciences, already developed in classical antiquity, were mathematics and astronomy. These early scientific disciplines were applied to the construction of timekeeping mechanisms. Among the most interesting technological artifacts of the ancient world are the clock once installed in the Tower of the Winds in Athens (which was described in antiquity, but which no longer exists) and the Antikythera mechanism, the corroded remains of which were dredged up from a shipwreck off the Greek island of Antikythera (while discovered by sponge divers in 1900, the site is still yielding finds). A classic paper on the Tower of the Winds compares these two technologies: “This is a field in which ancient literature is curiously meager, as we well know from the complete lack of any literary reference to a technology that could produce the Antikythera Mechanism of the same date.” (“The Water Clock in the Tower of the Winds,” Joseph V. Noble and Derek J. de Solla, American Journal of Archaeology, Vol. 72, No. 4, Oct., 1968, pp. 345-355) Both of these artifacts are concerned with chronometry, which demonstrates that the most advanced technologies, then and now, have been employed in the measurement of time. 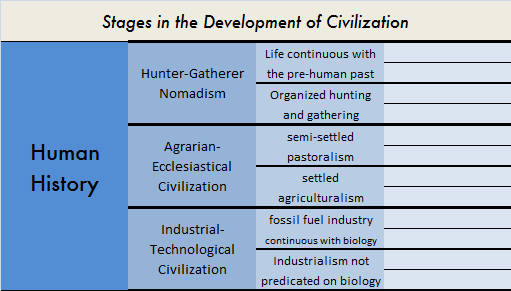 The advent of high technology as we know it today — unprecedented in human history — has been the result of the advent of a new kind of civilization — industrial-technological civilization — and the use of advanced technologies in chronometry provides a useful lens with which to view one of the unique features of our civilization today, which I call the STEM cycle. The acronym STEM is familiar in educational contexts in order to refer to education and training in science, technology, engineering, and mathematics, so I have taken over this acronym as the name for one of the socioeconomic processes that lies at the heart of our civilization: Science seeks to understand nature on its own terms, for its own sake. Technology is that portion of scientific research that can be developed specifically for the realization of practical ends. Engineering is the industrial implementation of a technology. Mathematics is the common language in which the elements of the cycle are formulated. A feedback loop of science driving technology, driving engineering, driving more science, characterizes industrial-technological civilization. This is the STEM cycle. The distinctions between science, technology, and engineering are not absolute — far from it. To employ a terminology I developed elsewhere, I would say that science is only weakly distinct from technology, technology is only weakly distinct from engineering, and engineering is only weakly distinct from science. In some contexts any two elements of the STEM cycle are identical, while in other contexts of the STEM cycle they are starkly contrasted. 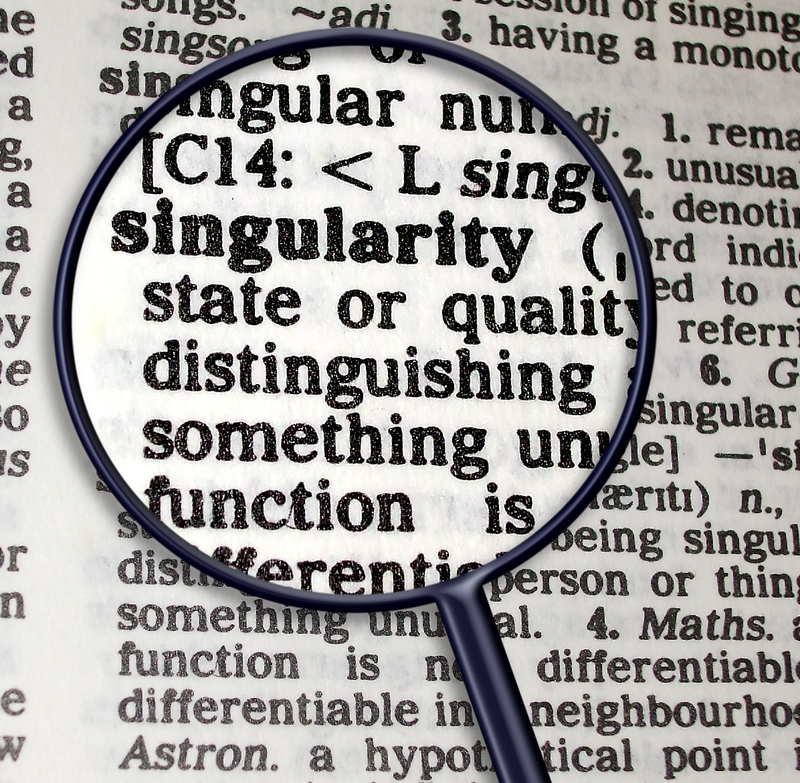 This is not due to inconsistency, but rather to the fact that science, technology, and engineering are open-textured concepts; we could adopt conventional distinctions that would make them strongly distinct, but this would be contrary to usage in ordinary language and would only result in confusion. Given the lack of clear distinctions among science, technology, and engineering, where we draw the dividing lines within the STEM cycle is to some degree arbitrary — we could describe this cycle in different terms, employing different distinctions — but the cycle itself is not arbitrary. By any other name, it drives industrial-technological civilization. The clock that was the inspiration for this post — the new strontium atomic clock, described in JILA Strontium Atomic Clock Sets New Records in Both Precision and Stability, and the subject of a scientific paper, An optical lattice clock with accuracy and stability at the 10−18 level by B. J. Bloom, T. L. Nicholson, J. R. Williams, S. L. Campbell, M. Bishof, X. Zhang, W. Zhang, S. L. Bromley, and J. Ye (a preprint of the article is available at Arxiv) — is instructive in several respects. In so far as we consider atomic clocks to be a generic “technology,” the strontium clock represents the latest and most advanced instance of this technology yet constructed, a more specific form of technology, the optical lattice clock, within the more generic division of atomic clocks. The sciences involved in the conceptualization of atomic clocks are fundamental: atomic physics, quantum theory, relativity theory, thermodynamics, and optics. Atomic clocks are a technology built from another technologies, including advanced materials, lasers, masers, a vacuum chamber, refrigeration, and computers. Building the technology into an optimal device involves engineering for dependability, economy, miniaturization, portability, and refinements of design. 2) improved, cutting edge devices that improve the precision of measurement (which I will call the meliorative function), sometimes improved by an order of magnitude (or several orders of magnitude). Widely available precision measurement devices (the ubiquity function) bring down the cost of scientific research and we begin to see science cropping up in all kinds of interesting and unexpected places. The development of computer technology and then the miniaturization of computers had the unintended result of making computers inexpensive and widely available. This, in turn, has meant that everyone doing science carries a portable computer with them, and this widely available computational power (which I have elsewhere called the computational infrastructure of civilization) has transformed how science is done. NIST Atomic Devices and Instrumentation (ADI) now builds “chip-scale” atomic clocks, which is both commercializing and thereby democratizing atomic clock technology in a form factor so small that it could be included in a cell phone (or whatever mobile device form factor you prefer). This is perfect illustration of the ubiquity function in an engineering application of atomic clock technology. New cutting edge precision measurement devices (the meliorative function), employed only by the governments and industries that can afford to push the envelope with the latest technology, are scientific instruments of great sensitivity; increasing the precision of the measurement of time by an order of magnitude opens up new possibilities the consequences of which cannot be predicted. What can be predicted, however, is the present generation of high precision measurement devices make it possible to construct the next generation of precision measurement devices, which exceed the precision of the previous generation of devices. A clock built to a new design that is far more precise than its predecessors (like the strontium atomic clock) may not necessarily find its cutting edge scientific application exclusively in the measurement of time (though, again, it might do that also), but as a scientific instrument of great sensitivity it suggests uses throughout the sciences. A further distinction can be made, then, between instruments used for the purposes they were intended to serve, and instruments that are exapted for unintended uses. A loosely-coupled STEM cycle is characterized primarily by the ubiquity function, while a tightly-coupled STEM cycle is characterized primarily by the meliorative function. Human civilization has always involved a loosely-coupled STEM cycle, sometimes operating over thousands of years, with no apparent relationship between science, technology, and engineering. Technological progress was slow and intermittent under these conditions. However, the productivity of industrial-technological civilization is such that its STEM cycle yields both the ubiquity function and the meliorative function, which means that there are in fact multiple STEM cycles running concurrently, both loosely-coupled and tightly-coupled. 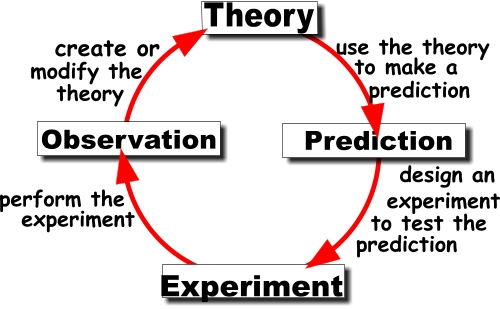 The research and development branch of a large business enterprise is the conscious constitution of a limited, tightly-coupled STEM cycle in which only that science is pursued that is expected to generate specific technologies, and only those technologies are developed that can be engineered into marketable products. An open loop STEM cycle, loosely-coupled STEM cycle, or exaptations of the STEM cycle are seen as wasteful, but in some cases the unintended consequences from commercial enterprises can be profound. When Arno Penzias and Robert Wilson were hired by Bell Labs, it was with the promise that they could use the Holmdel Horn Antenna for pure science once they had done the work that Bell Labs would pay them for. As it turned out, the actual work of tracing down interference resulted in the discovery of cosmic microwave background radiation (CMBR), earning Penzias and Wilson the Nobel prize. An engineering problem became a science problem: how do you explain the background interference that cannot be eliminated from electronic devices? Human agency is constrained by the structure of space. Upon reflection I have realized that, while this definition is good as far as it goes, it doesn’t go far enough. The primary defect of this formulation is that it is formulated exclusively in terms of constraints upon human agency, which is to say, it focuses on the ways in which human agency is limited or even negated. In formulating either geopolitics or astropolitics in terms of the limitations on human agency, the ways in which geography or the structure of space facilitates human agency gets lost, and this function of facilitation is no less significant than the function of limitation that follows from the lay of the land or the structure of space. Another weakness in formulating geopolitics or astropolitics in terms of constraint and limitation is that it implies that, were it only not for the limitations placed upon human agency by outside forces, that this agency would be boundless and infinite. In other words, focusing on limitation and constraint suggests, in a very subtle way, what I have called the political conception of history, i.e., history understood primarily in terms of human agency. While this is an empowering way of viewing history, it cannot be considered any more or less accurate than other other conceptions of history I have outlined — the cataclysmic, eschatological, and naturalistic conceptions (for a review of these conceptions cf. The Naturalistic Conception of History) — and it is likely to be misleading. We have come to see the velocity of light as a barrier to human/organic exploration of the cosmos, but this is a profound misconception. In response to this misconception, those contemplating the possibility of interstellar civilization either are looking for ways to avoid relativistic effects, such as the use of the Alcubierre drive (if only it can be made to work), and those who think that interstellar travel is simply impossible or can only be accomplished at very slow rates of expansion, such as the rates of speed at which the Voyager spacecraft are slowly making their way outside our local solar system (i.e., by way of generational ships and long term human preservation or reconstitution). Although the Voyager I spacecraft is traveling in excess of 38,000 MPH, even at this speed it is a very slow trip to another star. What I want to suggest is that relativity is our friend. The finite velocity of light and the phenomenon of time dilation can and will be used by human beings to facilitate interstellar travel. Anyone who has studied these matters carefully will know what I am talking about here, but the popular misconceptions are so prevalent that one must pause to mention them. It is often stated that if we sent out an interstellar mission traveling at a rate that involved relativistic effects, that we could only hope for our distant descendents to arrive; that no one would live to see another solar system. In fact, time would continue to pass on Earth, but the closer a starship can approximate the speed of light, even while never reaching that limiting velocity, the slower time passes on board, so that even very long interstellar voyages can be accomplished within life spans typical by contemporary standards. Carl Sagan discussed this at some length in his book and television series Cosmos, in which he talked about a starship that could accelerate at one gravity. We can think of the 1G starship as the breakthrough technology that will open up our galaxy to exploration and settlement. Already we can accelerate a spaceship at well more than 1G, although we cannot maintain this acceleration for extended periods of time, so I regard attaining this acceleration for extended periods of time to be a merely technical problem, and not an insuperable “physics” problem. (Some people will disagree with me on this point.) Sagan pointed out that with the humble technology of a 1G starship we could circumnavigate the known universe in a typical human life span. By the time we finished this journey, however, billions of years would have passed. It is easy to lose sight of this possibility when discussing space flight, and our limited capabilities today, but looking at the ability of industrial-technological civilization to continue delivering exponential technological development, we should not consider this technology to be long out of our reach. That is why I call it a “humble” technology. It doesn’t require breaking the known laws of physics, and it doesn’t require an engineering breakthrough on the level of the Alcubierre drive (though I should mention that I still hold out hope for the development of the Alcubierre drive). Once we allow ourselves to think in these terms, and to imagine as a real possibility human exploration of the cosmos, even limited to contemporary life spans (which are likely to be lengthened considerably in the coming century), what one comes to realize is not the unattainability of the velocity of light, but really how slow the speed of light is in relation to the size of the cosmos. Light is almost pokey in its progress, since it would take light about 93 billion years to traverse the known universe. The age of the universe seems incomprehensibly ancient, but really, when you think about it in cosmological terms, 13.7 billion years isn’t all that much. We’re only really getting started here on this universe bit. And the size the universe? Again, it seems incomprehensible vast, but if we adjust our perspective, it is well within the limits of human comprehension if we will only take the time and the trouble to systematically expand and extend out understanding. We can spend our time contemplating the littleness of man in the cosmos, or we can work to attain a perspective commensurate with the universe. It is true that we are indeed very small at present, and it has been the tradition of human thought to meditate upon our insignificance, our smallness before the universe, our manifold weaknesses, our miserably short existence, and the sorrows of the human condition — in short, it has been the tradition to meditate on what Hume called the “monkish virtues.” While we do not think of modern thought in this way, once we pause to put matters in context, we see the degree to which this tradition still retains its power over our minds. Celibacy, fasting, penance, mortification, self-denial, humility, silence, solitude, and the whole train of monkish virtues; for what reason are they everywhere rejected by men of sense, but because they serve to no manner of purpose; neither advance a man’s fortune in the world, nor render him a more valuable member of society; neither qualify him for the entertainment of company, nor increase his power of self-enjoyment? We observe, on the contrary, that they cross all these desirable ends; stupify the understanding and harden the heart, obscure the fancy and sour the temper. To Hume’s litany of the reasons to reject the monkish virtues we might also add that this is no way to go about building a civilization. This is to think in terms of constraints. But we must also think in terms of possibilities, and if we are ever to construct the spacefaring civilization that we can now clearly conceptualize, we will have to think more in terms of possibilities and less in terms of limitations. As central to the creation of a spacefaring civilization as the technological developments is the conceptual revolution that needs to be sustained, and as ambitious and as megalomaniac as this sounds, we must formulate and inculcate a human perspective that takes the human role in the cosmos for granted. We must learn to think on a cosmological scale. David Hume, philosopher of the Scottish Enlightenment and critic of monkish virtues. For those who wonder at the hubris of what I am saying, the punishment of our pride will come about in due course, for no grand enterprise (and there is no grander enterprise than the expansion of civilization) is without reversals, but we cannot begin this enterprise by thinking only in terms of what we cannot do. We would never get off the ground — literally, we would never pass beyond planet-bound civilization to transplanetary civilization — if we thought only in terms of the meagerness of our abilities. While some limitations are unambiguously limiting, others can be seen as a constraint or an opportunity depending upon one’s perspective. 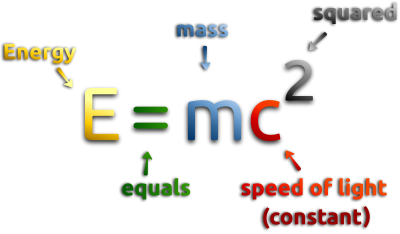 This is true of the structure of the universe and time dilation, which is built into relativistic physics. Future civilization will not try to defy this structure of spacetime (by trying to do something impossible according to physics), but will exploit this structure of spacetime in order to expand civilization in unexpected and unprecedented ways. Astrophysics will shape interstellar civilization. The development of civilization will follow the availability of matter and energy; both matter and energy are found in and around the vicinity of stars, stars are collected in galaxies, and galaxies are found in clusters. Civilization will follow this same structure, from stars to galaxies to clusters, and civilization will do so because this is where the matter and energy at to be found. Matter shapes the structure of spacetime; in seeking the resources of matter and energy, civilization will find itself in those regions of the universe shaped by the presence of matter. Matter, moreover, is convertible with energy, and vice versa. Civilization seeks matter in part in order to convert it into energy in order to power the industries of industrial-technological civilization. At some future time civilization may also seek energy in order to convert it into matter. Civilization as we have known it has sought to expand itself in space, but time dilation will allow civilization also to expand in time. Given the breakthrough technology of a 1G starship, civilization will not only move outward in space, but also later in time. 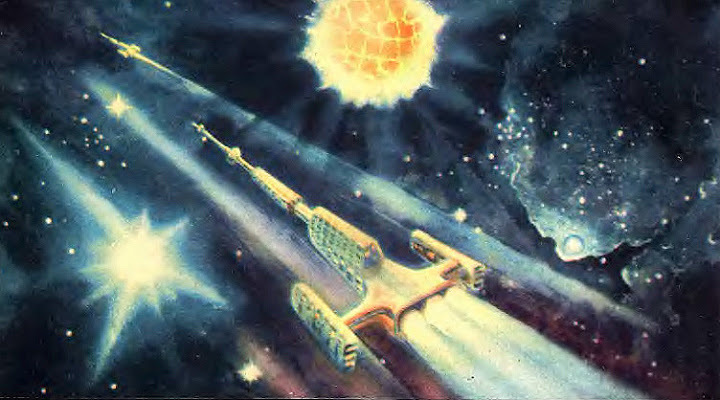 While time on Earth may be considered the baseline, a fleet of starships with enough capacity to carry a sufficient portion of terrestrial civilization to establish this civilization at a new center, will carry that civilization to a later time commensurate with the distance traveled outward. Because of time dilation, relatively little time will have passed on the voyage, even while a great deal of time will have passed on Earth. In other words, while separated by years and lightyears, it will still be essentially the same civilization. From an omnipresent perspective — what might be called the “view from nowhere” (to borrow a phrase from Thomas Nagel) — we can see that these are temporally separated instances of one an the same civilization are. I call this a temporally distributed civilization. (This was one of the central points of my 2012 100YSS talk.) Given this structure of a temporally distributed civilization, there is quite literally no going home again. It would always be possible to migrate outward, and into later times (though essentially into the same civilization displaced later in time), but back would mean going into far future civilization that no longer resembled the civilization one had left behind. In a temporally distributed civilization, one and the same civilization is distributed in time as well as in space. Civilization conceived and executed on this cosmological scale, integral with the largest astrophysical processes, would leave observable traces. In Transcendent Man, the film about Ray Kurzweil, Kurzweil talks about looking up into the night sky and seeking signs of an alien technological singularity. Others have thought to search the skies for mega-engineering projects, looking for the astronomical markers of Dyson spheres or the use of a black hole as a source of energy. Nothing definitive has yet been seen in the night sky. There does not appear to have been any civilization of cosmological scale that has preceded us — though there may be one out there, only now coming to maturity and not yet visible to us. 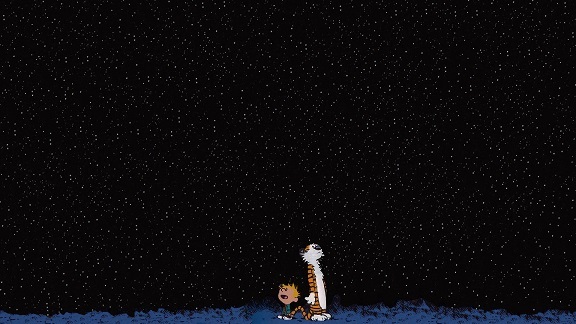 Or maybe there is nothing out there. For many, the lack of evidence of a civilization of cosmological scale is proof (not definitive, deductive proof, but incremental, inductive proof, not leading to certainty, but to likelihood and probability) that there is no such civilization, nor can there be such a civilization. Some dreamers who reject the possibility of interstellar travel but want to know something of the other inhabitants who might be out there in the Milky Way and beyond resign themselves to the quietism of SETI, sitting in a room monitoring instruments, hoping to catch a glimpse of alien intelligence from signals among the stars. This model of interstellar exchange is presented as practicable, and therefore something that a person might reasonably believe in, even if it departs from the Buck Rogers model of flying around and visiting other planets, all the while with a trusty sidearm on one’s hip. I know that there are a great many people who maintain that there will never be any interstellar civilization, therefore no interaction between multiple interstellar civilizations, therefore no interstellar exchanges of any significance — whether for trade or war or culture or otherwise — because of the distances involved and the energy levels that would be required. I do not think that this is an insuperable problem, because in large measure the problem is our own perspective and the human tendency to sabotage our own efforts. Such habits of thought and action are valuable for a planet-bound civilization, but would be crippling for a transplanetary civilization. I, on the other hand, view the large scale structure of interstellar civilization as an inevitable (or nearly inevitable) outcome of the continued expansion of industrial-technological civilization, in accordance with the Industrial-Technological Thesis that defines technological progress as intrinsic to this form of civilization. The only event that would derail the eventual realization of interstellar civilization is if civilization itself were to be derailed — hence my concern with existential risk. A theoretical astropolitics would furnish the conceptual infrastructure for any future interstellar trade, interstellar war, or even interstellar “cultural exchanges” (as they were delicately called during the Cold War). And, as should be apparent from the foregoing, it seems clear that, as long as our industrial-technological civilization continues in its present trajectory of development, all of this will come to pass in the fullness of time.